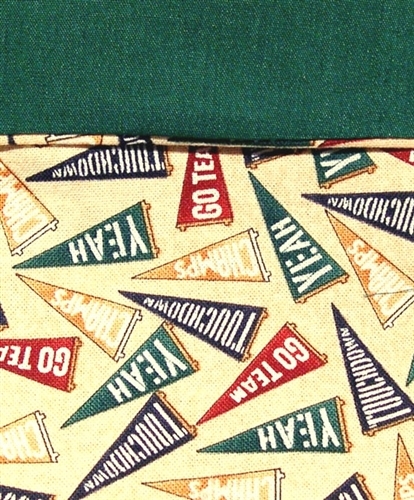 Pennant print on one side and dark green on the reverse. Sized for a Single bed. The 1 bed pillow in pennant print and 1 throw pillow in solid green fabric.